In this age of email and Facebook, it’s such a treat to get a good old fashioned greeting card. I love that feeling when I get the mail, and there’s that special greeting-card-sized envelope in the pile. So much more exciting to open than the bills! Growing up, when we would get Christmas cards, we would always tape them to the inside of the front door. While that looked okay, I thought I’d come up with a more crafty solution. 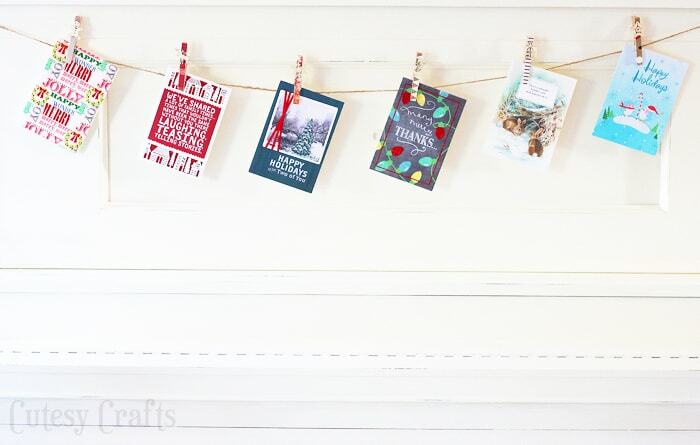 I decided to make a Christmas card garland to show off all of the cards that we receive. To keep the cards on the garland, I decorated some wooden clothespins with holiday embellishments and scrapbook paper. Isn’t it pretty? I headed over to Walmart to get some Hallmark cards and ornaments. They have a really great selection. 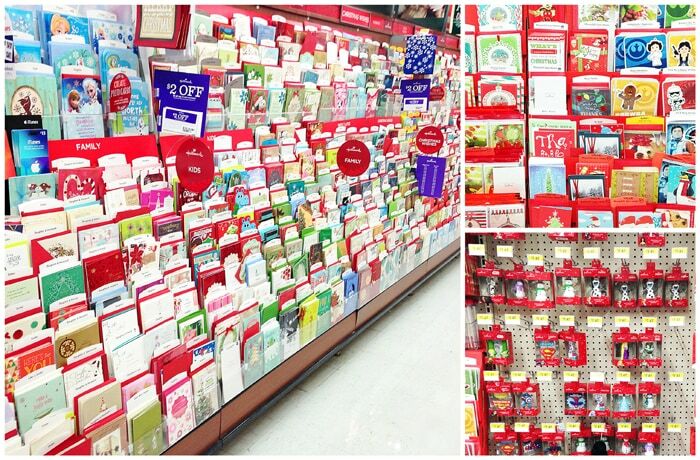 A whole aisle of Hallmark cards to choose from! 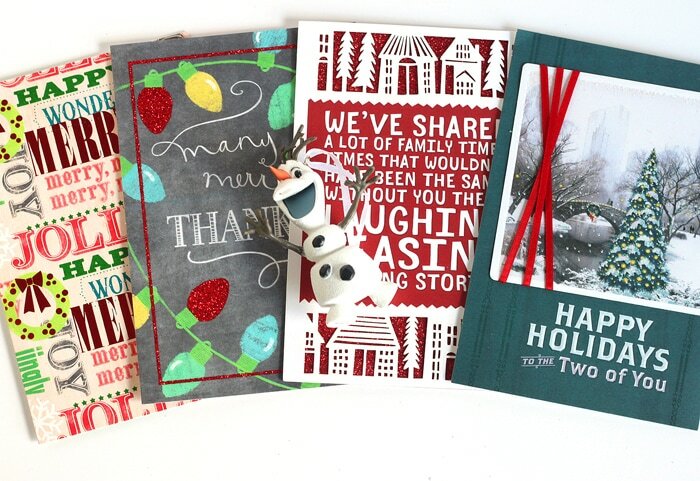 Choose the perfect card to spread some holiday cheer or send one to someone just because. Click here to save $1.00 off of a two Hallmark Greeting Card purchase at Walmart, minimum $1.00 purchase required. Take advantage of the savings and #SendHallmark this holiday season! Also, at-shelf coupons for Hallmark products can be found in some Walmart stores for $2.00 off a 3 card purchase! I went home with some beautiful cards, and an Olaf ornament, of course! My girls were very excited about him! Hallmark ornament selections include 16 Walmart exclusives, resin figurines, Holiday Barbie, new deco figurines and more. I hung the garland across my upright piano since I don’t have a fireplace mantle. I love the cards with the glitter! Such beautiful details! 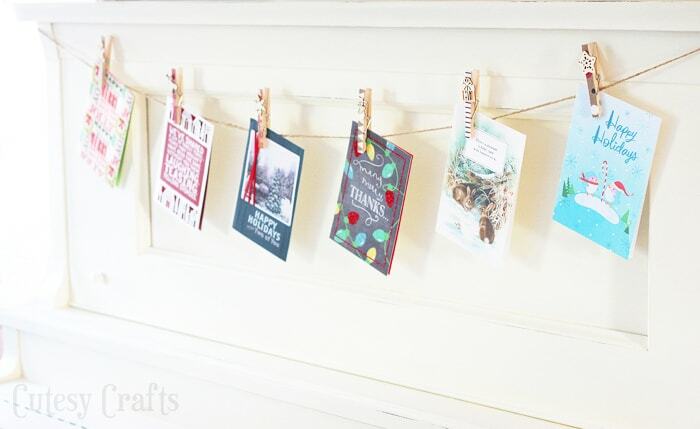 Keep reading to find out how to make your own garland and click here for more great Hallmark ideas. 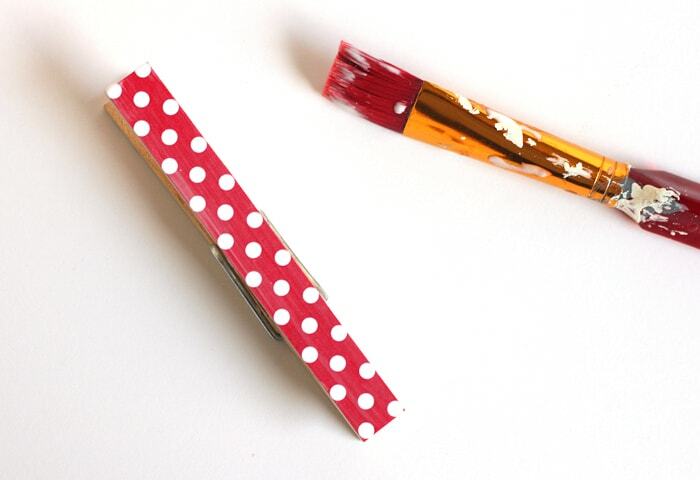 Cut pieces of scrapbook paper to fit the front of the clothespins. 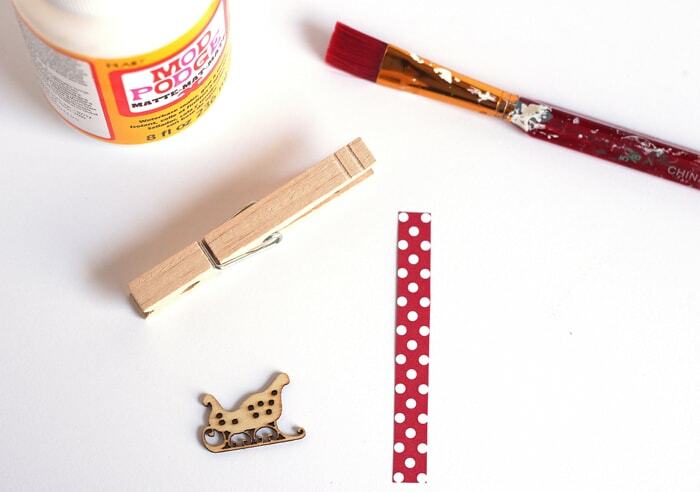 Spread a thin layer of Mod Podge on top of the clothespin, put the paper on top of that, and spread another layer of Mod Podge over the top of the paper. 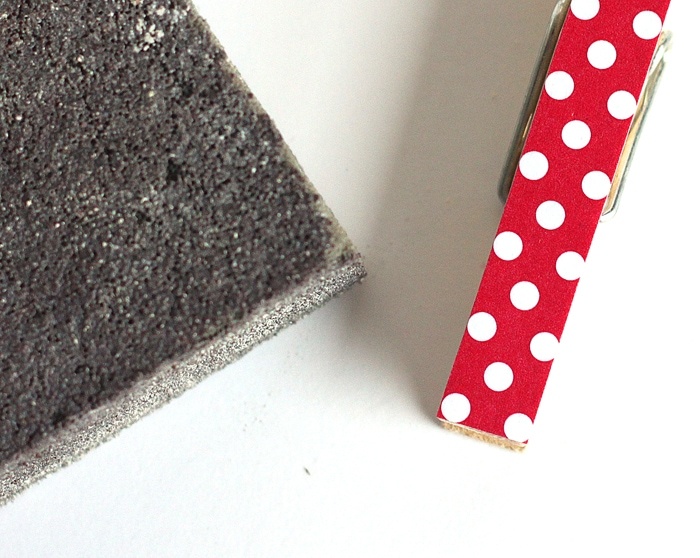 Once the Mod Podge has dried, lightly sand the edges of the paper to make it flush with the clothespin. 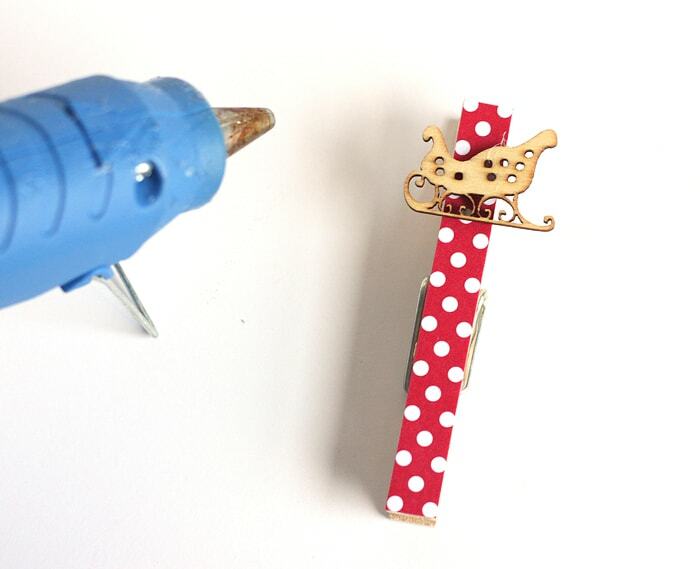 Hot glue an embellishment to the top of each clothespin. 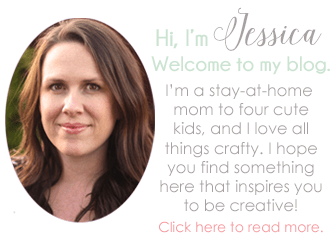 Make as many as you want with different paper and embellishment combinations. String a piece of twine where you want to hang the cards. 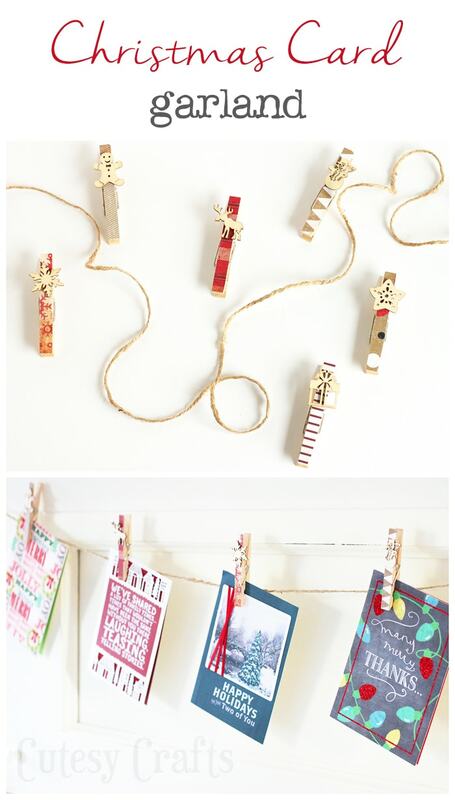 Clip the cards to the twine to make your garland. 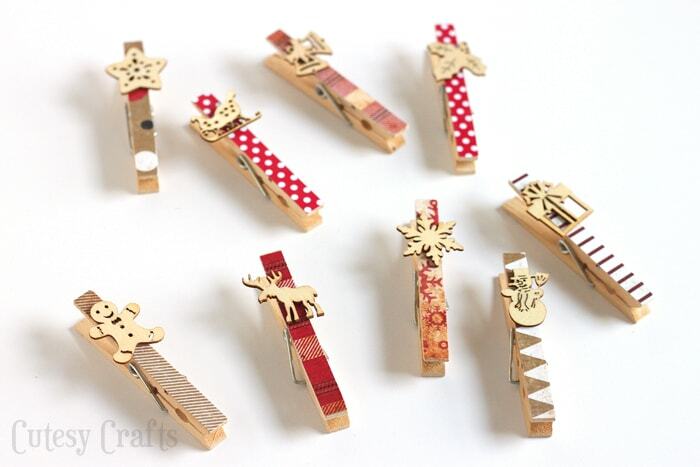 The extra clothespins can be clipped to the Christmas tree as ornaments until they are needed for cards. Don’t you love it?! Now that you’ve got some new holiday decor, get yourself into the Christmas spirit by listening to the Hallmark Pandora station. It’ my new favorite!